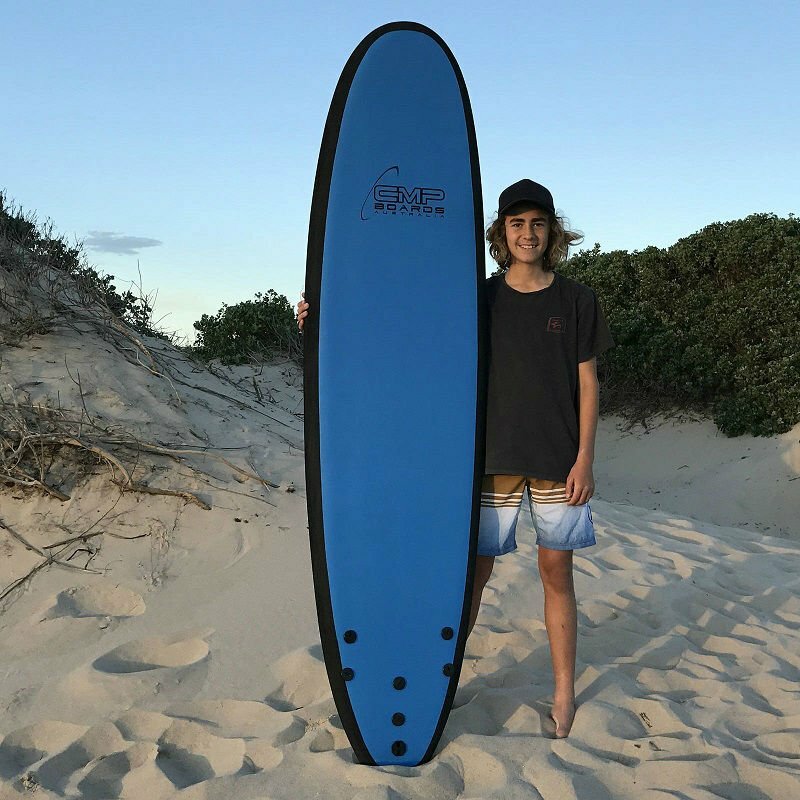 This is a low impact board that is designed for new surfers who will be able to develop their surfing skills safely while having fun. 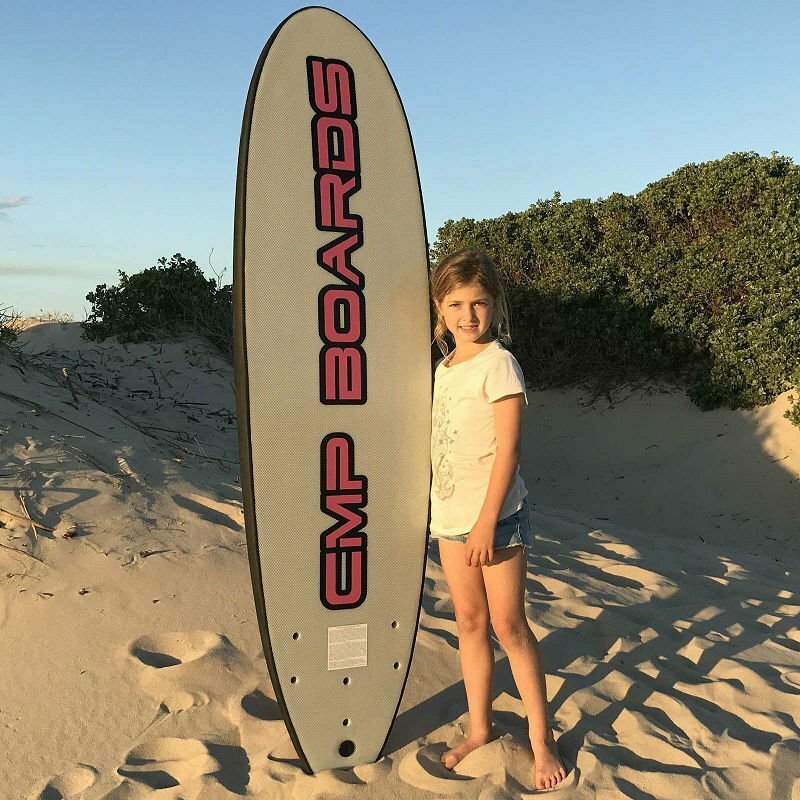 In a few words, this is the perfect training board. 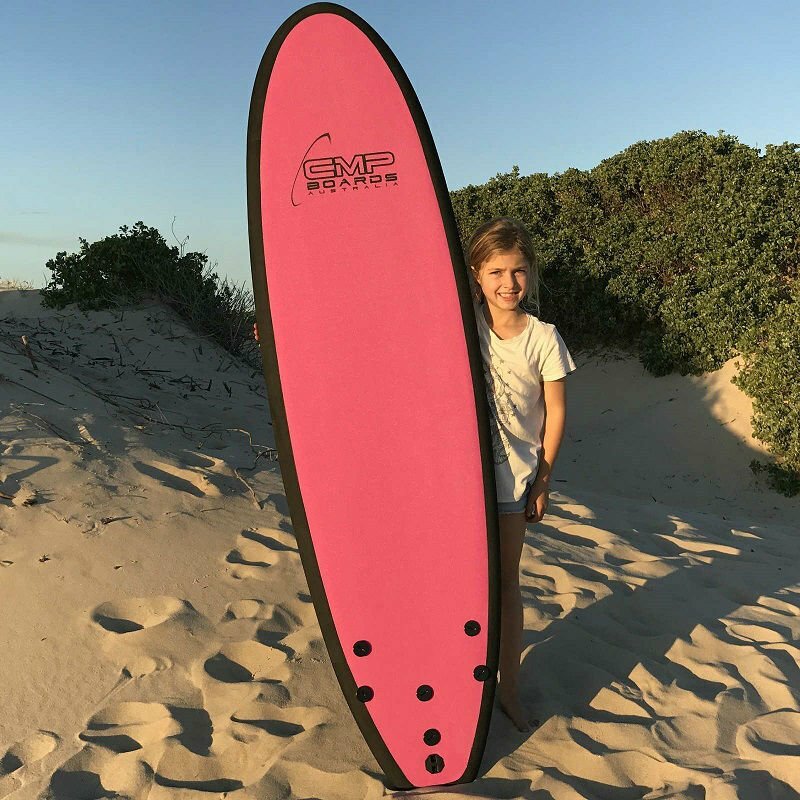 The foam core of this surfboard allows for a high buoyancy while also enabling you to paddle quickly, giving you the ability to get onto the wave easily. 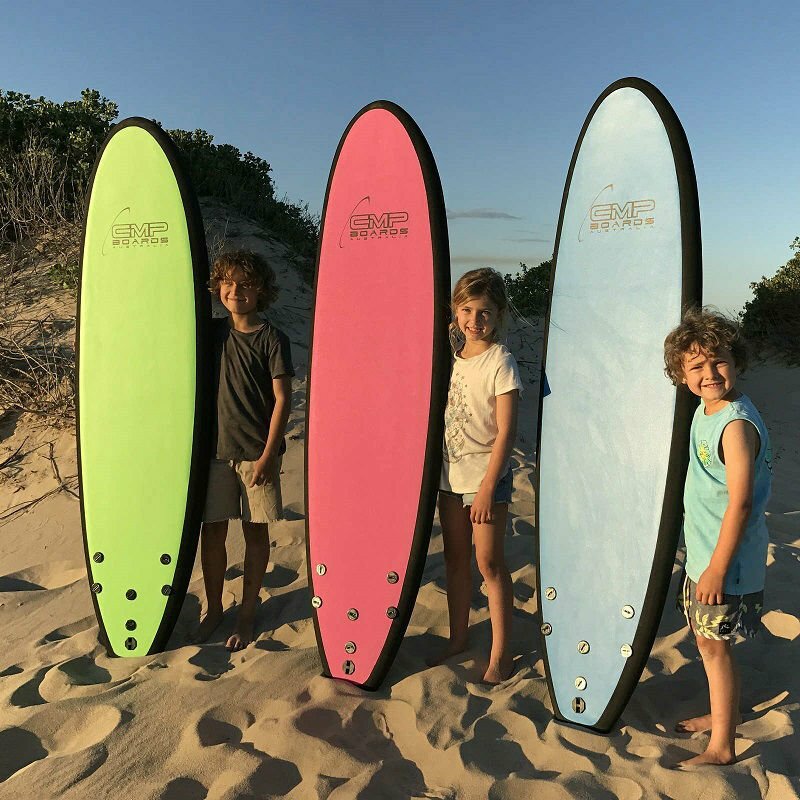 Catching a wave is made easier and with more stability with the wider square tail design. 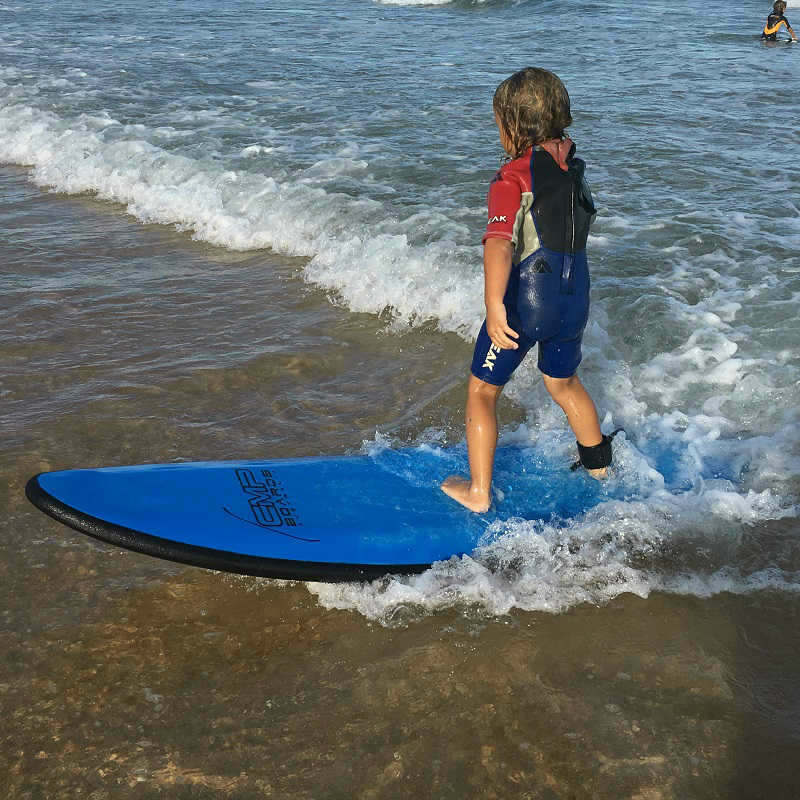 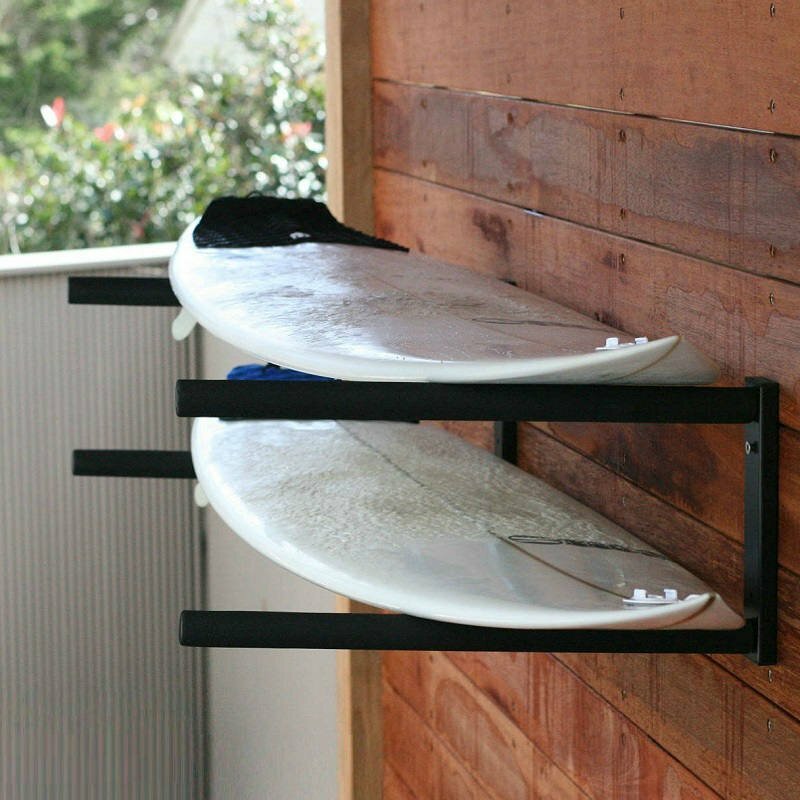 Maneuvering the board is also made easier with the included tri fin system. 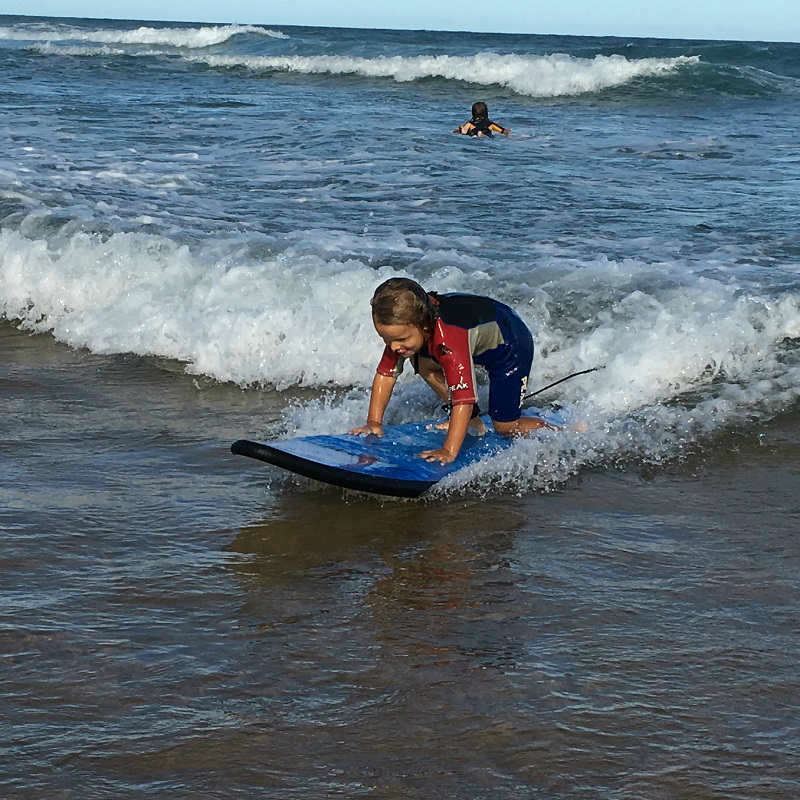 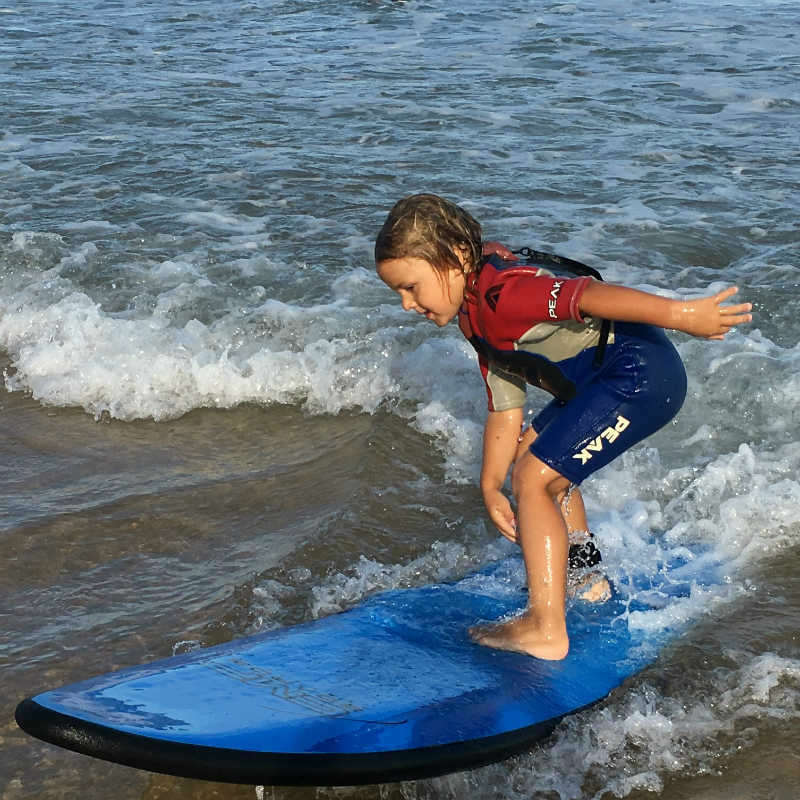 We believe that this is the best choice for a beginner surfer to learn the basics of surfing. 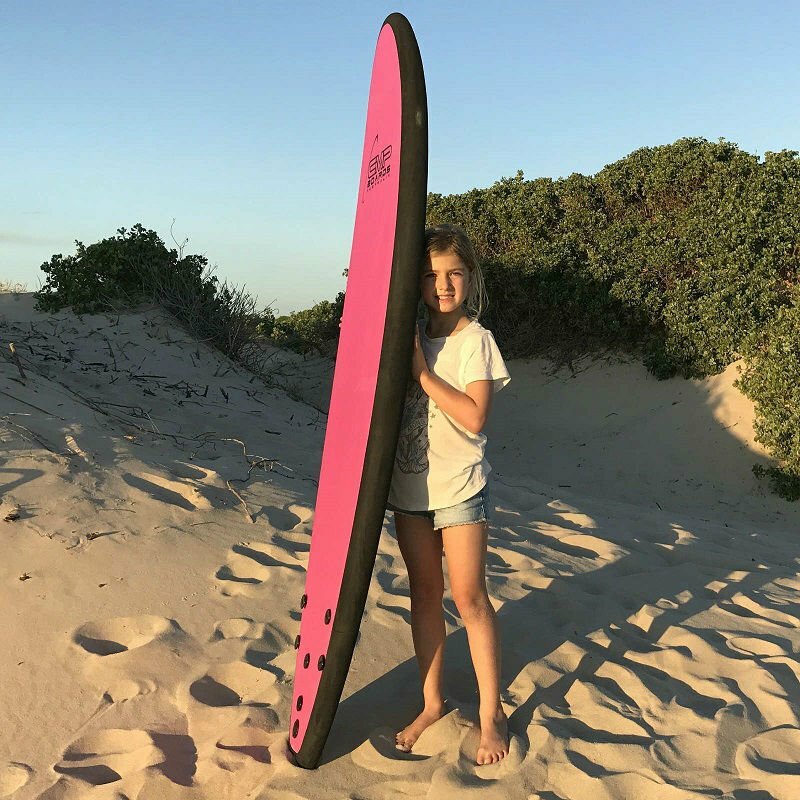 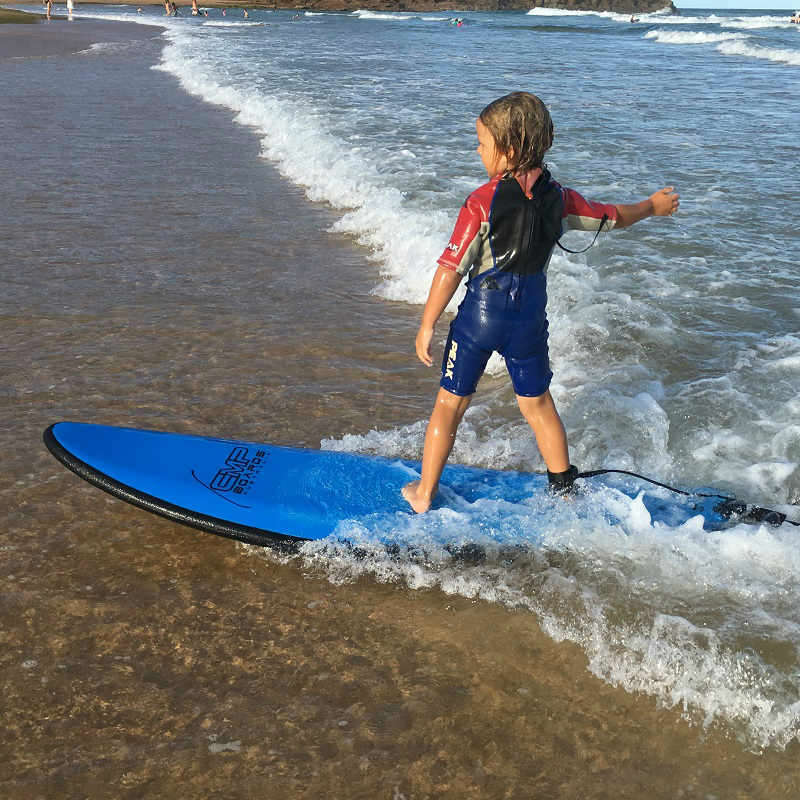 It has all the features of a regular surfboard, but with the softer material used for construction the skills needed to become an experienced surfer will be learned more easily.